A relaxing retreat can mean different things to different people. 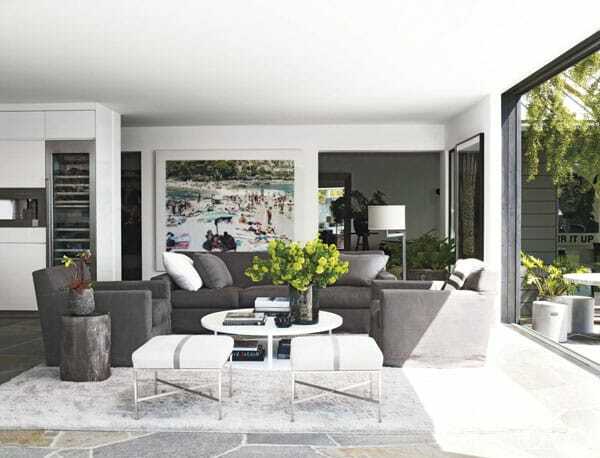 For Courtney Cox, it’s a modern home with clean lines and a gray and white palette. 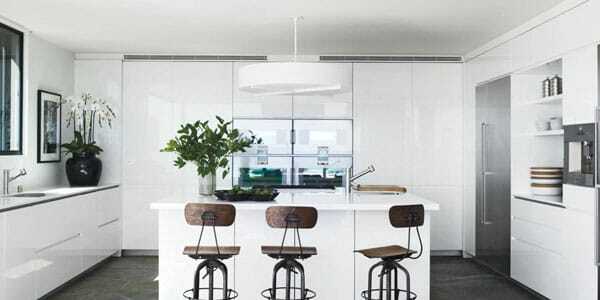 Her home in Malibu Beach is a modern minimalist’s dream that captures a simple sensibility while also infusing personality and luxury into the decor. This home creates character through texture and art. With such stunning views surrounding it, the understated decor perfectly compliments the sea rather than trying to upstage it. The decor is beautiful but doesn’t get in the way of the nature that is visible through the many large windows. 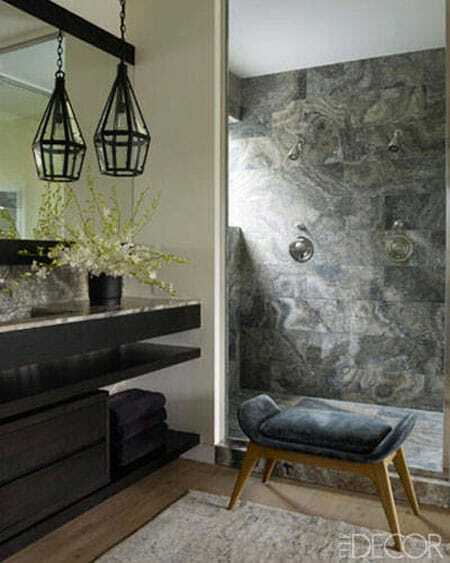 Natural textures, such as wood and stone, are used in just the right places to provide warmth where it is needed. Elle Decor brought us inside this modern coastal home, which is teeming with inspiration for those who appreciate the minimalist style. A cool, clean palette of white and gray creates an effortless sense of elegance in the living room. A stone fireplace contrasts beautifully against all the white in this space. 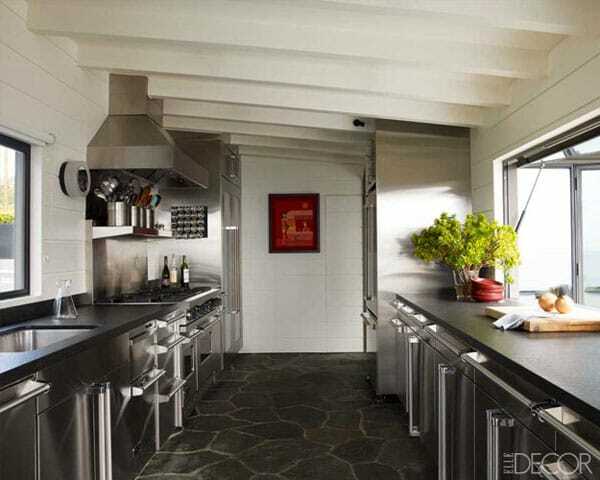 High gloss cabinets are luxurious and modern in the kitchen, reflecting the beautiful light. 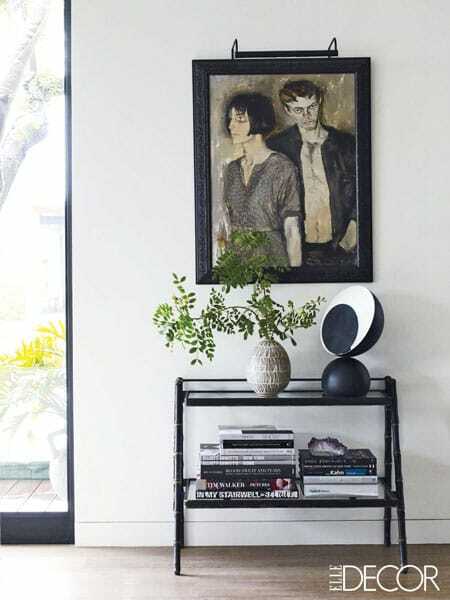 A simple black table with glass leaves plenty visual openness in this vignette to keep with the modern vibe of the home. 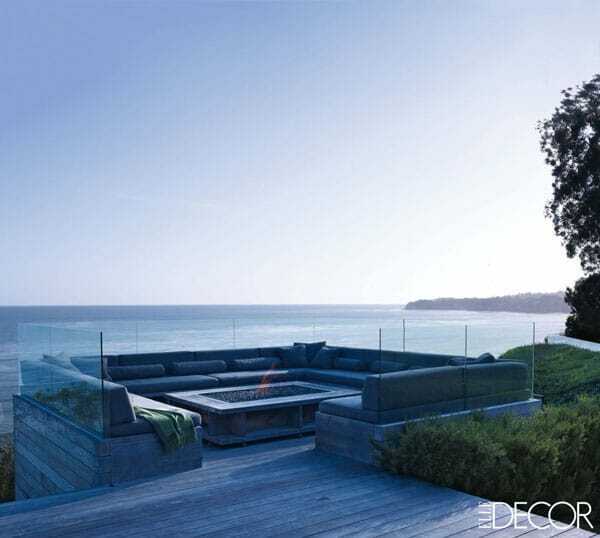 A cozy, built-in seating area offers an idyllic view of the sea and a perfect spot around which to gather with friends. Love how the blue seamlessly flows into the landscape. 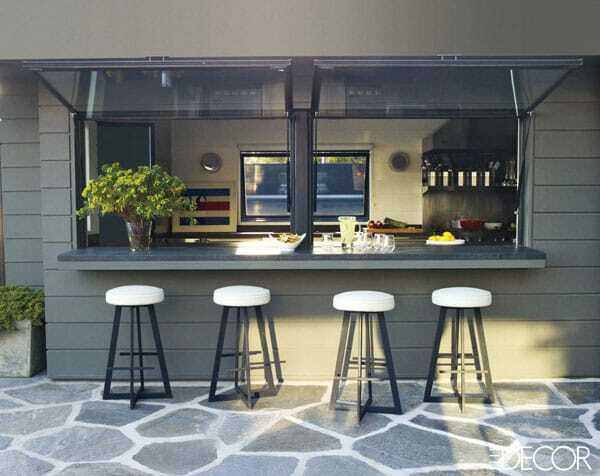 A pass-through window is wonderfully charming and the perfect spot to serve your guests from the outdoor kitchen. 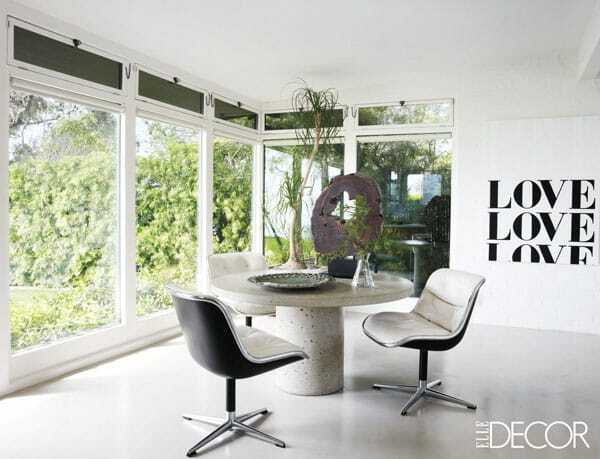 This breakfast nook does minimalist and monochrome with an artsy twist. How compelling are all the textures and patterns at play in this space? Straight lines throughout the bedroom create a geometric look that is engaging, yet simple. 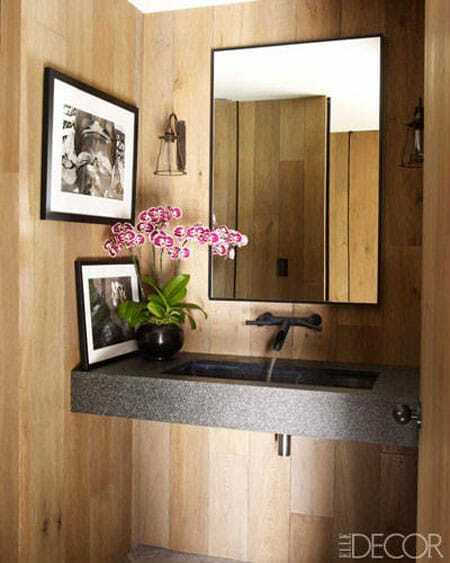 The mixture of the warm, blonde wood and the more austere vanity creates a striking contrast. The outdoor kitchen actually isn’t outdoors at all, offering you the comfort of AC while still being a part of the outdoor festivities. Subtle curves, like the ones on the pendant lights and stool, bring just enough softness to the harsh, modern lines of this bathroom. This home offers a perfect backdrop for both relaxation and entertaining.